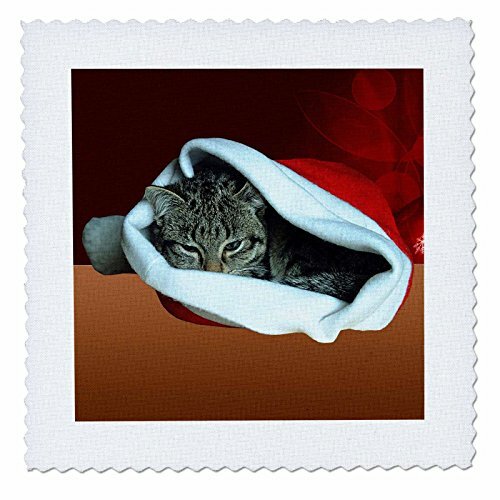 Gray Striped Kitten in Santa Hat with Red Christmas Ornament Background Quilt Square is a great way to create, showcase and remember a meaningful moment. Overall size is 10" x 10" with 7.5" x 7.5" image. Made of 100% poloyester that will not fade with washing. Made in USA.